When all the treatments do not work, the doctors will consider implants to correct the heart problem for a longer period of time. The procedure is very effective to regulate the circulation and support the heart. What are the causes of heart implants? Cardiomyopathy- the weakening of heart muscles. Heart implants is a treatment, not a disease, so there are not any signs and symptoms. What are the diagnose for heart problems which lead to heart surgery? The doctor will perform certain tests to detect the problem and condition of your heart. No matter what disease you have, the doctor will perform a physical test in which he will inquire about the family medical history, he will exert your heart to detect the problem. Stress tests: by the means of exercising and medicines the doctor will increase the heartbeat to check how your heart responds. Electrocardiogram (ECG)- these will help in detecting the irregularities in the heart rhythm and structure by using the means of electric signals. Holter monitoring- this is a portable device the patient wear for about 24 to 72 hours to record a continuous ECG. Echocardiogram- it is a non-invasive exam, which includes an ultrasound of the chest to show the detailed images of the structure of the heart. Cardiac magnetic resonance imaging (MRI)- the patient will be asked to lie on a table which produces a magnetic field to produce pictures to help the doctor in a better evaluation. Cardiac computerized tomography scan (CT scan)- you will be asked to lie straight on a doughnut-shaped machine which has an x-ray tube inside the machine which rotates around the body to collect images of the heart. The following are the medical devices that are medically implanted in the patient’s body. Your doctor will always discuss with you about the options and their procedures, from which you have to choose one. Pacemaker- This is the most common medical device implanted in a heart patient. Through a surgery, it will be implanted in the chest cavity or abdomen. When people are experiencing irregular heartbeats or the heart beating pattern is too slow, too fast, uneven, then this device will help the patient in regulating them by delivering a shock. It will return the normal heart rate by an electrical impulse. Ventricular assist device- when the patient is on the last stage of the heart failure then the doctors will use this device to prevent it. The disadvantage of this device is that it is a temporary method and it will not be used in a long run. 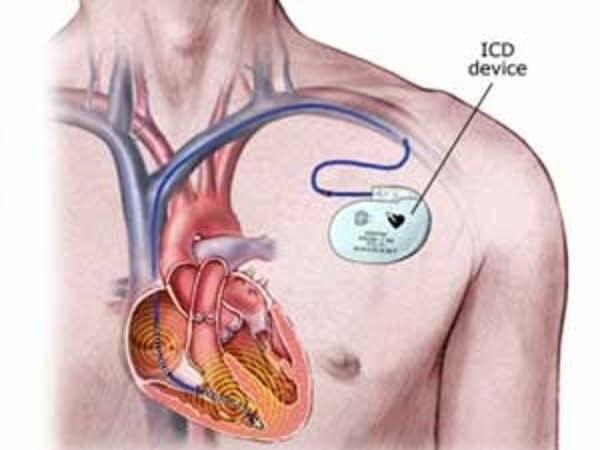 Implantable Cardioverter defibrillator- It is similar to a pacemaker and is used against arrhythmia. The patients who are suffering from ventricular fibrillation, it is a twitching of heart which contributes to cardiac arrest. To prevent that this device is used which delivers electrical current to the heart to restart the muscle.